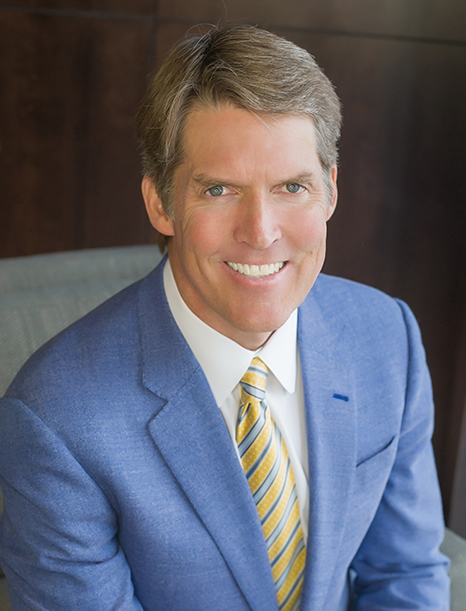 Eric Hovde is the President and Chief Executive Officer of Hovde Capital Advisors LLC, an asset management firm, and President, Chief Executive Officer and Chief Investment Officer of Hovde Private Equity Advisors LLC, a private equity firm. Both firms are focused exclusively on the financial services sector. Mr. Hovde is responsible for the investment strategy and day-to-day oversight of the portfolio investments managed by Hovde Capital Advisors LLC and, along with the portfolio manager, directs Hovde Private Equity Advisors investment process and provides oversight to portfolio companies for the firm’s private equity fund. In these capacities, Mr. Hovde provides the investment teams with strategic direction and guidance in their investment decisions. Prior to the formation of the private equity fund, Mr. Hovde led the firm’s affiliated merchant banking activities, using the firm’s proprietary capital to acquire numerous controlling interests in community banks, thrifts and other nonbank financial services companies. Prior to Hovde Capital and Hovde Private Equity, he was a founder of Hovde Financial, a business which he established and developed into a top-tier investment bank in the bank and thrift industry. Mr. Hovde has also served as a director on numerous community bank and thrift boards and currently is a controlling shareholder and serves as the Chairman of Sunwest Bank in California, and is a controlling shareholder and serves on the board of directors of Bay Bank, FSB in Maryland. Additionally, Mr. Hovde is on the board of directors for ePlus, inc., a leading value-added reseller and lessor of technology products and services. As the Chief Executive Officer of Hovde Properties LLC, a third generation family company that purchases, develops and manages real estate in the Madison, Wisconsin area, Mr. Hovde oversees the management of this company and also serves on its Board of Directors. Charity is a strong principle within the Hovde family and related businesses. Mr. Hovde, along with his brother, Steven, created and funded the Hovde Foundation, an organization that actively supports two central missions – clinical research in search of a cure for Multiple Sclerosis and charitable relief in devastated areas around the world. Mr. Hovde has actively participated in and funded relief programs in Africa, South America, Latin America and the United States. Further, he has financed and oversees the construction & operation of Hovde Houses, which are homes that provide shelter, supportive services, education and love to vulnerable street children. The Hovde Foundation has established Hovde Houses in Mexico City; Huanuco, Peru; Winneba, Ghana; Kigali, Rwanda; and Mombasa, Kenya. Mr. Hovde has also funded a homeless shelter for children and their parents complete with case work managers and job training, in his hometown of Madison, Wisconsin. Mr. Hovde earned his degrees in Economics and International Relations at the University of Wisconsin. He resides in Madison, Wisconsin and is married and has two children.